Visit a city where architecture has been evolving and adapting for centuries to gain an in depth understanding of what both modernity and sustainability mean in this context. In the last century alone London has undergone mass-reconstruction after World War Two, regenerated declining areas and had to find its place in the world of modern architecture. This trip lets students in to explore some of London’s most innovative buildings alongside activities such as interactive talks with architects and encouraging the group to unpack the concepts of sustainability and modernity during the tours. Prices based on groups of 20 students with 2 free teacher spots. Reach your accommodation from the airport and meet your guide, who will explain rules and safety guidelines. Then, go up 20 Fenchurch Street, a skyscraper nicknamed “The Walkie Talkie” for its distinctive shape, and visit the Sky Garden. Wander around the landscaped gardens and the observation deck for panoramic views from London’s highest public garden! In the evening, enjoy a welcome dinner of traditional British food such as fish and chips, and listen to a trip briefing. Start the day with a guided tour of the Canary Wharf area to experience first-hand the regeneration process this area went through in recent years. Then, head to the Museum of London Docklands to understand the impact this redevelopment had on the local community. In the museum, you’ll also conduct a field study of N.1 Warehouse, the building that hosts the museum itself, understanding how it went from being a store for sugar from the West Indies to what it is today. After lunch, head back to central London for a sightseeing architectural guided walk, where you’ll have the opportunity to learn more about the history of the city’s most famous landmarks and try to complete our Learning Adventure Photo Scavanger Hunt! In the evening, spend some time browsing the food stalls from all over the world in the Southbank Market, and pick out a new cuisine to try! 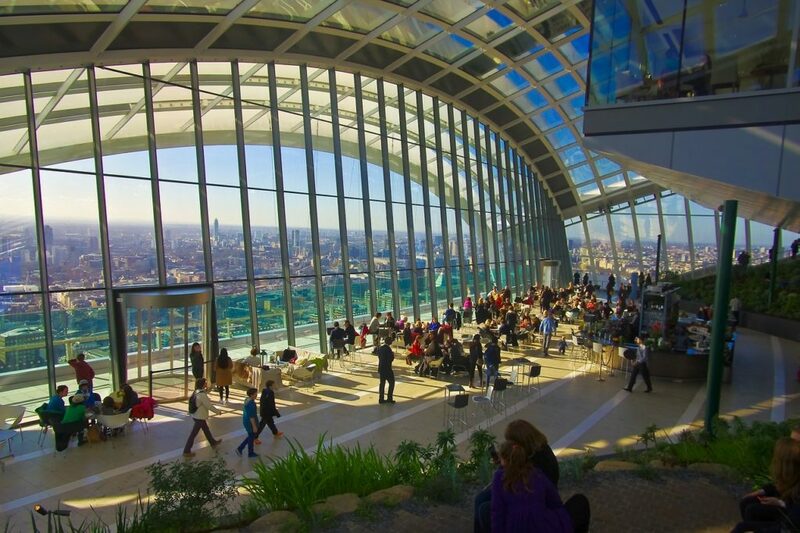 To start the day, pop in to The Crystal, one of the world’s most iconic eco-friendly buildings. Visit The Crystal’s exhibition, designed to improve understanding of urban planning and sustainability. Engage in a curated workshop about the major urban trends and the latest technologies and solutions to create sustainable cities for the future. After lunch, enjoy a unique view of London on the Emirates Air Line – London’s urban cable car – taking you over the Thames and back. In the evening, enjoy some free time in Covent Garden, a former vegetable market, now a popular covered square with lots of shops, historical buildings and street performers. 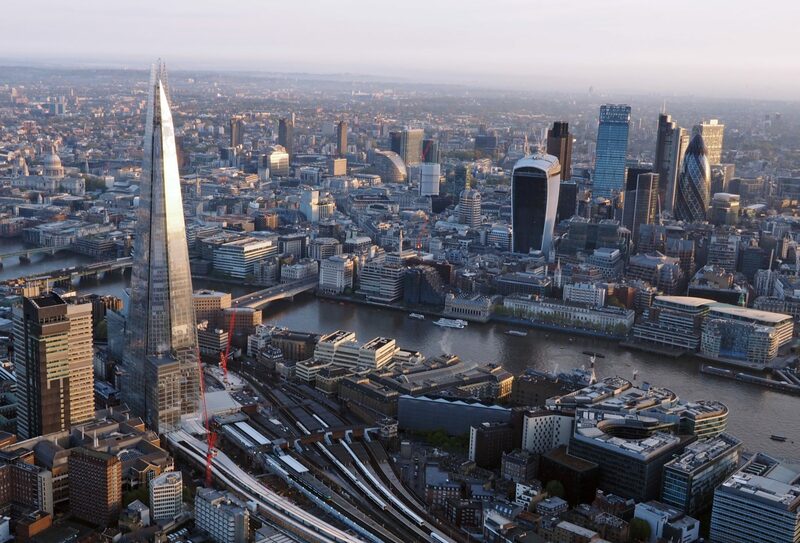 Head to the City of London for a guided walking tour of London’s skyscrapers. See highlights including the Shard, the Gherkin and Tower 42. Reflect on if – and how – these stunning buildings by some of the world’s most famous architects can co-exist with the city’s historical heritage. In the afternoon, head over to St Dunstan in the East Church Garden for a moment of quiet. The church was destroyed in the 1941 Blitz during the Second World War, but the City of London decided to turn the ruins into a breathtaking garden. Afterwards, pay a visit to the Barbican Centre for an in-detail architectural tour of this unique building, constructed in the Brutalist style and described by Queen Elizabeth as “one of the modern wonders of the world”! End the day at the top of Fenchurch Street, a skyscraper nicknamed “The Walkie Talkie” for its distinctive shape. Wander around the building’s Sky Garden; the landscaped gardens and the observation deck provide incredible panoramic views of the city. In the evening, people-watch in Leicester Square and Piccadilly Circus, where the city lights never go out! Visit The Building Centre, a hub created by the Architectural Association and used to promote innovation in the urban environment. There, you’ll have a chance to interact with the New London Architecture giant model of the city, which brings to life London’s past and future development. You will be introduced by the staff to the latest development projects, transport hubs and sustainability initiatives. Afterwards you will also explore the Building Centre’s Materials Library and learn about a range of different, newly designed sustainable materials. In the afternoon, visit the British Museum and take in the impressive Great Court, the largest covered public square in Europe. Enjoy some free time to explore the rooms in the museum that strike your fancy the most, then, take a walking tour of the Bloomsbury area. See the houses where some great British writers used to live and the typical garden squares. AT the end of the day, enjoy a traditional full English breakfast… for dinner! Begin the day with an engaging talk and a Q&A with an architect or another professional working in an architecture-related field. The speaker will talk through their experience and about the necessary skills to thrive in the field. After lunch, head to Victoria & Albert Museum’s rooms 127 and 128 to see their unparalleled collection of architectural drawings, original models and building fragments stretching over 2500 years. In the evening, take a walk down Oxford Street, where you will have the chance to shop for souvenirs. Stroll through the South Bank, London’s vibrant cultural district peppered with historical sites, vendors, street performers and the city’s most famous skateboarding spot. From there, you can take in the view of some of London’s best landmarks, such as Tower Bridge, Shakespeare’s Globe and the Tate Modern. 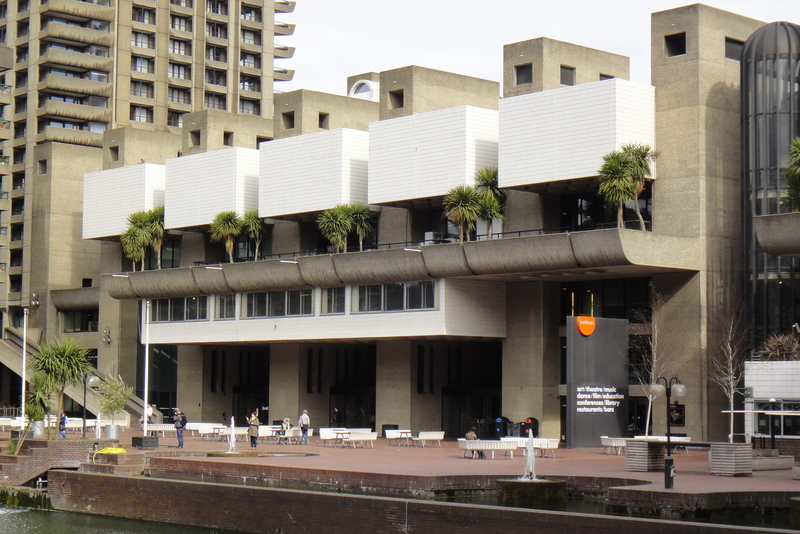 Head to the Southbank Centre and take part in a reflection session and trip debriefing. Then, head back to your accommodation and prepare for departure.